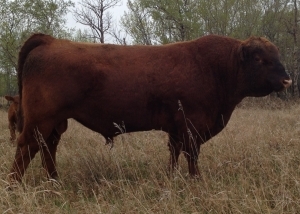 Designer 63X is a bull that stood out from his pen mates during the summer of 2010 when touring through Jim’s cows before his successful dispersal sale. Designer’s dam is one of the very best cows I have ever viewed. She is deep ribbed, easy fleshing with the ability to raise soggy made calves. 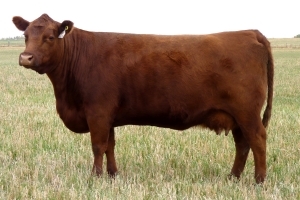 There is no wonder why she was the high selling female to Bar-EL for $10,000 and has since gone on to raise high sellers in their annual bull sale. Designer 63X has a pedigree that is stacked with proven breed legends, littered with outcross genetics, and most importantly built upon the strenghth of cow families. We are extremely pleased with how this sire has breed within our breeding program and are very pleased with the daughters that we have in production. We believe they are second to none!